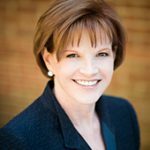 The following Special Report is adapted from a presentation delivered by Nancy Fletcher at the IBOUSA Conference in Columbus, OH, September 20, 2018. Fletcher was invited to provide a simple overview of OOH and technology today from the perspective of a non-technical person. OOH, the world’s oldest ad medium, is undergoing its greatest period of change. OOH is thriving compared to all other traditional forms of advertising, and for good reasons. Unlike TV, radio, magazines, and newspapers, which have all lost share of ad spend as traditional formats go digital, OOH is maintaining (and modestly growing) its share of overall ad expenditures in the US and around the world. OOH has thrived due to the ownership of physical locations plus the inherent growing audience that comes with these locations. Both static and digital OOH revenues are growing. Digital OOH now represents 23 percent of total OOH revenue in the US (according to MAGNA), and this percentage will only increase. In the UK and Australia, digital OOH is now more than 50 percent of overall OOH revenue. There’s a perfect storm benefiting OOH. We have a limited inventory with an increase in demand – that drives a higher value for OOH. Consumers are more mobile; they’re “out and about” spending more than 70 percent of waking hours outside the home, consuming content and advertising. Advertising inside the home is declining and fragmenting. Expanding OOH capabilities are driving enormous shifts to more effective and engaging forms of OOH, offering more than ever from the perspective of digital, data, and technologies. And, as more OOH inventory goes from static to digital, OOH revenue potential increases as more ads can be rotated in and more dynamic formats can be utilized. Given all these factors, it’s not surprising that there’s increasing interest in OOH from many brands, and in particular from digital brands (25% of top 100 US OOH spenders in 2017 were tech brands). The OAAA role in this changing world is to educate and inform the OOH industry and the greater advertising arena about the credible opportunities now available. At OAAA we strive to deeply understand the technology needs of marketers (and the advertising ecosystem) so we can enable partnerships and drive OOH revenue. We have created an Innovations Committee that identifies credible tech opportunities for the OOH industry and recommends the setting of standards and practices to encourage industry development and growth. We’re publishing new collaborative DOOH standards (this fall) with the Interactive Advertising Bureau (IAB), the Digital Place-Based Advertising Association (DPAA), Geopath, and the Digital Signage Federation (DSF). We host webinars so tech partners can teach the industry about their offerings. We publish regular thought leadership blogs to educate the industry about tech opportunities. learn about the many technologies available in OOH today. It is obvious then that OOH tech is more than a novelty. “Digital” and “technology” are no longer tacked-on qualifiers or attributes of OOH – but are integrated parts of the industry and its offerings. OOH is moving from being a historically data-poor medium to one that is joining the big data revolution. OOH stands at the precipice of becoming a true data-driven medium. Data is a significant value enabler for OOH. With data, OOH will grow by adapting the same three key factors – targeting, analytics, and automated buying – that have caused digital media to explode in recent years. Digital ads now represent almost half of all US advertising expenditures. Success in the changing world of OOH starts with the interlocking use of data and tech. What follows is a brief overview of the most common tech uses for OOH. All these technologies rely on data, in some way, and all are intended to drive revenue for OOH (or why else do it?). Brands and agencies want to know where their money is being spent, how, and why. Since 1933, Geopath has been setting OOH industry standards for audience measurement. 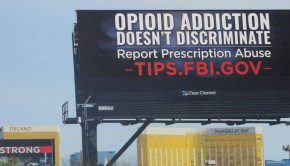 Today, weekly impressions, including visibility adjustments and other elements, serve as the OOH industry currency approved by a tri-partite governance board of advertisers, agencies, and OOH media companies. There will be new measurement soon that uses real-time anonymously collected mobile data (and other sources) to more precisely and accurately quantify how target audiences engage with OOH. 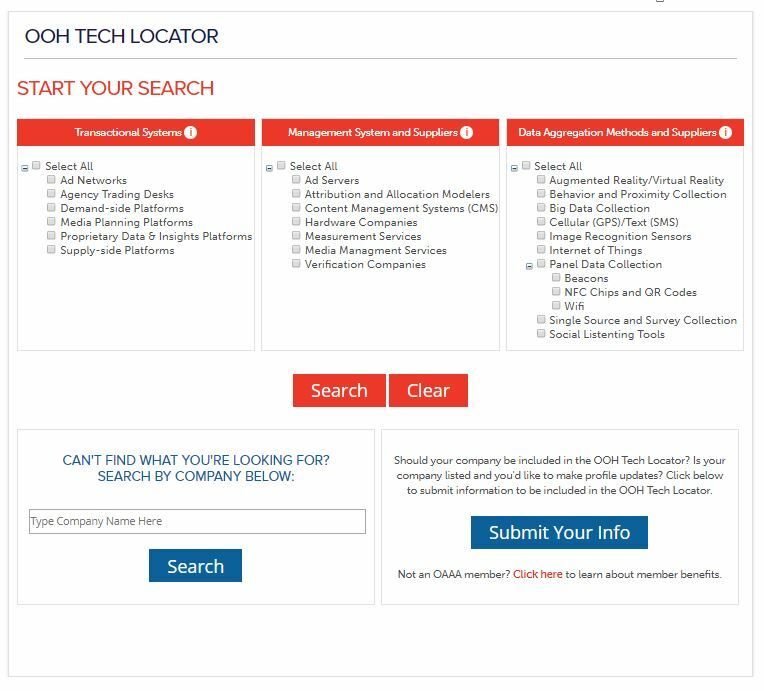 Geopath is regularly adding new audience profiles and insights suites. If your local retail client wants to understand commuting patterns of their most frequent customers, the enhanced Geopath ratings provide this information. Soon, the Media Rating Council (MRC) will set common measurement standards, definitions, and protocols for all OOH. The first draft of these standards was released on September 4. This effort is part of MRC’s mission to develop common standards across all media so better media comparisons and valuations can be made. The veteran and much-respected head of MRC, George Ivie, is on the agenda and will speak this afternoon. New and expanded OOH measurement capabilities are also changing the game. This morning, you may have seen the Billboard Insider interview where Jeremy Male explains how OUTFRONT Media is using layers of data, including Geopath information, in their platform. Target ad triggered in rain. Marketers have shifted their strategy from targeting as many people as possible to targeting as many members of a specific audience segment as possible. Independent tech and research companies collect and analyze data from multiple sources. These companies include Airsage, Blue Bite, Board Active, Citilabs, Cuebiq, Foursquare, Gimbal, GroundTruth, PeopleCount, Pinsight, MarketTrack, and Sito, among others. Triggers – employ real-time data and information in which OOH messages synchronize to weather conditions, time of day, or other real-world variables. When it’s raining, Target stores advertise umbrellas and raincoats. When the pollen count is high, you see pharmacy and hay fever meds. Geofencing – involves the creation of a virtual perimeter around a geographic location, like a billboard or a store. Not only can your local car dealer geofence around their billboards, they can geofence around competitor locations. They can also geofence around retail locations to align billboard viewing with locations. Collection devices – are used to aggregate and transfer data. They include beacons, NFC and QR code readers, optical cameras, and touch screens. Attribution research explains the cause and effect of an advertising campaign. Attribution research measures different KPIs (key performance indicators) based on objectives outlined by an advertiser when planning an advertising campaign. For example, KPIs for a campaign might be social media “likes and shares”, or it could be store visits. Attribution can be measured by anonymous device IDs, biometrics such as facial expression, eye tracking, passive or active electronic signature collection such as beacons and cameras, along with other methods. Many OOH companies now provide attribution research as part of their regular offerings, for instance, Honda auto dealers in Northern California saw an 80 percent lift in their showroom visits after an OOH campaign, according to a Clear Channel Outdoor attribution study. OAAA is developing an attribution “vault” of company studies to establish benchmarks. OAAA is also doing primary research that is being fielded now with Kroger grocery stores, the quick service restaurant (QSR) chain Whataburger, and a third advertiser that will be announced soon. Once completed, the research will show the uplift results with those consumers exposed to the brand’s OOH ads versus those consumers who were not exposed. 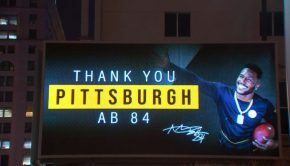 Attribution is the critical next step in the evolution of OOH commerce because it provides the concrete proof that an OOH campaign produced quantifiable results. The data collected today is vast; therefore, sophisticated business systems and platforms are needed to efficiently and effectively evaluate and use the information. New business systems and platforms capitalize on the data opportunity facing OOH today. Please note that all OOH is “digital” in some form today. Increasingly, OOH is powered by digital transactions for ordering, charting, billing, tracking, content delivery, proof of performance, creative testing, and many other supply chain elements that act digitally in the background. Digital, data, and tech are all supporting the growth of OOH, whether the displays are digital or static. Industry tech experts have explained how all OOH media companies benefit from the development of a Supply Side Platform (SSP) or storefront. Your storefront is your unique identity. IBO is doing so with Apparatix. These platforms should be governed by a set of common standards, definitions, and protocols so that OOH can integrate with the wider advertising ecosystem; otherwise OOH will lose out to other media types. Digital publishers (i.e. Facebook, Google, Snapchat) each provide their media offerings to the larger ecosystem using their own Supply Side Platform through a set of common principle elements. Their storefront is their unique identity. Supply Side Platforms (SSPs) offer software that automates and streamlines the selling of a media owner’s inventory. These entities include Adstruc Project X, Aerva, Apparatix, Ayuda Hivestack, Broadsign, DoMedia, Fusion, Live DOOH, OnSmart, Rubicon Project, Scala, SignKick, Smart Bricks, Telmar, and Vistar Media, among others. Demand Side Platforms (DSPs) offer media planners and buyers an easy to use platform that will access an OOH media owner’s inventory. These entities include Abraxas Technologies, Adcity, Adomni, AdSemble, Adstruc Project X, Blip, Boohma, Centro, DoMedia, Dr Banner, Ecos, Fliphound, Plato, Ubimo, VIOOH, and Vistar, among others. There have been misconceptions about programmatic OOH, but the approach is gaining traction. Programmatic is not intended to threaten direct sales teams but introduce another tool for teams to make sales. Four things to know about “programmatic OOH” compared to “programmatic digital” media. OOH inventory is often sold as “spots” or “loops” while “real” programmatic buying (in the digital world) is sold on impressions based on CPMs. Therefore, digital OOH doesn’t necessarily mean programmatic in the classic use of that term. There is limited Real-Time Bidding (RTB) in OOH because most OOH buys are guaranteed with inventory reserved in an automated fashion since auctions are difficult to execute because of the finite OOH supply. Precise OOH data makes OOH measurable in a way that’s more consistent, but different, than digital media. Digital buyers follow cookies or device IDs to target an individual, while OOH buyers follow the movement patterns of aggregated and anonymous groups of people (or tribes). Third-party data allows for dynamic OOH content. The use of datasets like weather or traffic allows OOH creative to change based on real-time conditions. Many OOH media companies are offering mobile to complement OOH campaigns. Working together, OOH and mobile provide powerful synergies. OOH and mobile are natural partners and allow brands to forge a greater partnership with their customers (consumers). Mobile phones allow OOH ads to communicate more directly and deliver more pertinent messages. 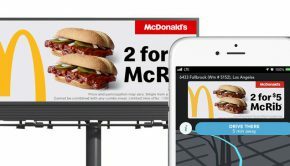 Mobile targeting, used in combination with OOH, is effective and can be personalized for those consumers “opting in” to an app or other delivery system. OOH locations can be geofenced so that mobile targeting can be “pushed” as consumers pass a geofenced zone. Mobile and OOH together are effective. Research has shown that click-through rates (CTRs) rise +56 percent above the industry average when OOH is added to a mobile campaign. And, when OOH is added to a media plan, it can dramatically increase the reach of the overall campaign. It’s also worth mentioning that some OOH media companies are now selling mobile advertising as a separate revenue source, discrete from their OOH media offerings. Brands are enhancing OOH campaigns with tech that makes the advertising more engaging, relevant, and personal for consumers by using artificial intelligence (AI), augmented reality, optical devices, touch screens, triggers, and more. Artificial intelligence, like Apple’s Siri and Amazon Alexa, simulates the thinking power of a human. Automated buying platforms can work the same way. Augmented reality took center stage a few years ago when Pokémon Go was a fad. By looking through a mobile device, animated characters appeared to interact in the real world. OOH campaigns, for instance for Mercedes-Benz cars, have used similar technology making elements literally pop off an OOH board when viewed through a mobile device. Touchscreens, like an iPad screen, are interactive. 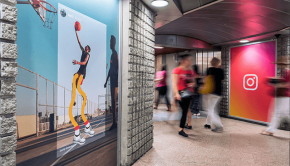 This type of tech has been applied to some bus shelters, mall ads, airport displays, and other pedestrian formats, greatly increasing consumer engagement with a brand. You may have seen the MTA and Amazon campaign that brought holiday shopping to consumers underground on OOH kiosks. 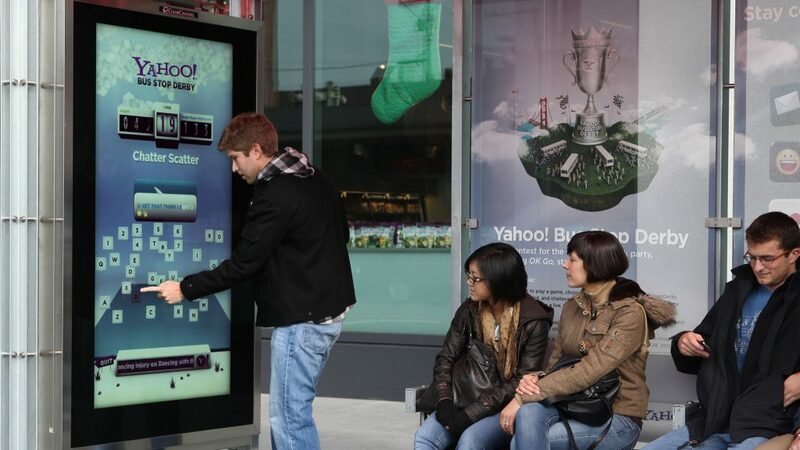 There are now hundreds of examples of interactive OOH campaigns with pedestrian formats. Using technology to customize OOH messaging increases the perceived value to the consumer and heightens their probability of action. Dynamic digital content can be used to change messages presenting the most relevant content at the right time. Dayparting is a perfect example. At 12 noon, are you more interested in seeing an ad for breakfast or lunch? Johnson’s Baby created an interactive “Crying Baby” display ad in a busy mall in NYC to explore the beautiful parenting instinct that most of us have. When you approached the crying baby (featured on the mall display) he would smile and giggle. When you walked away, he would cry again. People stopped, engaged, and took photos. The future will include autonomous vehicles, Smart Cities, and an intensified interest in OOH. The OOH industry needs to continue to explore how it can use the OOH infrastructure and connect more with autonomous vehicles and Smart Cities. I can’t tell you when there will be a full roll-out, but there is significant support for autonomous vehicles across the auto industry, the tech world, and government. The emergence of autonomous vehicles and connected cars has major implications for the OOH industry. Opportunities exist to synchronize messages across digital OOH, in-vehicle screens, and smartphones. The Smart Cities movement, driven by the ongoing avalanche of technology transformation, will result in big changes to nearly every aspect of city living – including how visitors and residents communicate, consume, connect, commute, and work. City planners are looking for partners (including OOH partners) to provide valuable expertise, knowledge, infrastructure, and funding. OOH can be turned into an even more positive force for cities and citizens than it has been in the past. If you’re looking for more information on OOH and autonomous vehicles or Smart Cities, OAAA has published a white paper on each. You can find the documents on the OAAA website. In addition to autonomous vehicles and Smart Cities, the future will hold an intensified interest in OOH. Recent news stories prove this point. Netflix bought billboard assets from Regency Outdoor in Los Angeles that it will use exclusively for its own advertising. Google is acting as a reseller of German OOH. Wave (owned by Google) has formed a business unit to develop onscreen advertising positioned as OOH. Apple’s recent patent for in-car window screen ads could have implications for OOH. There are two important final thoughts that shouldn’t be overlooked: the importance of human interaction and the increasing importance of privacy. First, we can’t forget about the importance of human interaction, business strategy, and creativity. Data and message delivery aren’t the be-all and end-all. Business growth requires distinctive, creative, and strategic ideas. Second, privacy concerns are becoming increasingly important, and OAAA is addressing this evolving issue. In 2016, OAAA updated its Industry Code of Principles to state our respect for privacy, and we joined the broader self-regulatory group Digital Advertising Alliance (DAA). We soon will publish recommended best practices for privacy. These best practices are the collective work of top industry experts and legal advisors. OOH is learning from the privacy mistakes of the online and mobile world, where the collection and use of data have been arguably indiscriminate. The right set of choices now for OOH can benefit consumers, drive continued OOH revenue growth, and set an example for the rest of the advertising industry. In OOH, the scope of data collection and use should be limited not merely to what is allowed, but to what is allowed and minimally required to operate your business. Location data, if collected and shared, should be obfuscated and imprecise. Cameras should never be used to identify specific individuals or vehicles. Data should be stored for the bare minimum of time necessary (and far less than the one-to-two-year standard for online). Less is more – when it comes to data collection, retention, and sharing practices. Finally, OOH is a “one-to-many” medium and should not target specific individuals via personal information. An OOH ad may call out Marc Pritchard of P&G (based on the location of P&G headquarters) with a message that says, “Hey Marc, This Ad is Real,” but we shouldn’t directly target specific individuals using data collection or by accessing personal information such as device IDs. The OOH industry can make the right choices now and privacy protection will be an OOH advantage – to go along with other big OOH advantages such as creative impact, 100 percent viewability, no fraud or bots, brand safety, no ad blocking, and great value.